Margaret Zhang needs no introduction: She is one of Australia’s most influential new creatives, building a global fan-base for her work as a stylist, photographer, and creative director. And for the first time ever, she is set to hold her very own photography exhibition in Sydney this weekend!! Keen on attending? Click on the photo above to find out the details. If anyone knows how to win in the fashion industry, it’s Ms Alexa Chung. Her new web series on how to break into the industry on vogue.co.uk is required viewing for anyone aiming to be on that front row in future seasons. Ever since X-Factor announced the winner in 2012 to be Samantha Jade, Australia’s own pop starlet has kept on rising and kept her name in the spotlight, co-writing every song on her album, and working with the world’s top producers including Timbaland, Rodney Jerkins and Wyclef to name a few. Plus, she starred as Kylie Minogue in the TV mini-series about INXS. Phew! What’s next for the gorgeous singer? Hit the link below to check out our interview with her. 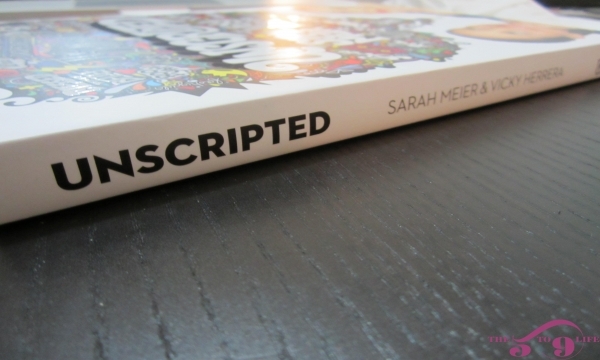 Last Christmas, the only thing I requested as a gift was this book: ‘Unscripted’ by Sarah Meier and Vicky Herrera. Now, after a busy few months of doing other things (like starting up this blog), I finally found the time to sit down and read this publication. And indeed I did just that – in one sitting! Check out my thoughts on these “unscripted conversations”.